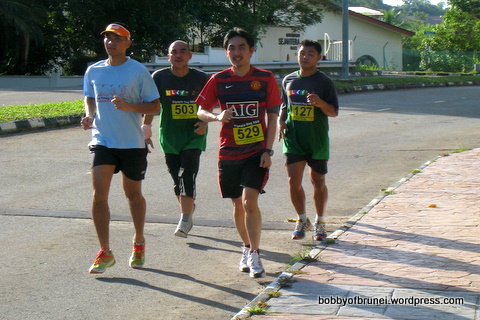 On 20th June 2010, sunday – the olympic day run was held. 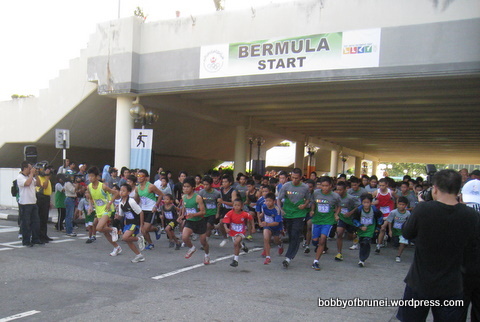 The Starting line was at the Indoor Stadium and the Finishing Line was at the National Stadium. 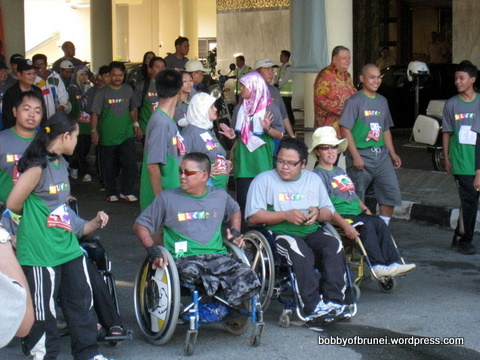 The event started off with a warm up /stretching exercise. There were several categories, and so different categories started at different times. 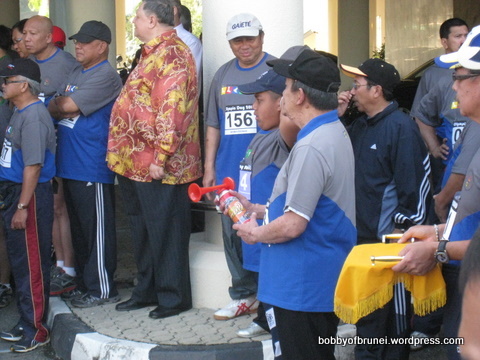 The starting horn was sounded off by His Royal Highness Prince Haji Sufri. Even the prince participated in one of the categories. Depending on the categories, the distance and routes were different. 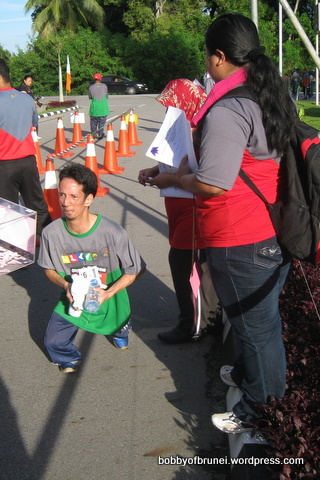 The finishing line was at the front of the national stadium berakas. Where volunteers kept track of the runners that finished. 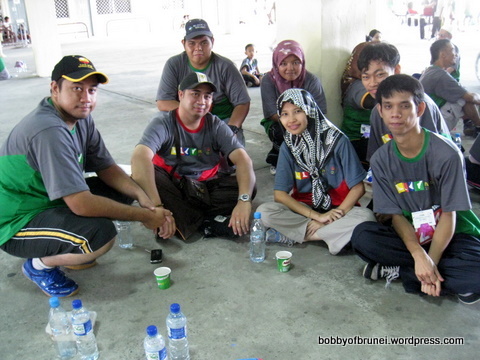 The runners and volunteers rested while waiting for everyone to finish. The top runners were asked to sit on chairs so they could be organized in the prize presentation All runners that finished were given a certificate stating that they participated in the olympic day run. 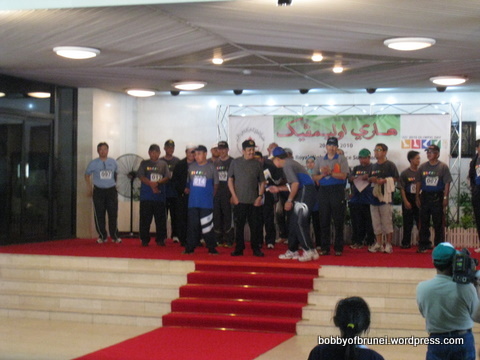 In the closing ceremony, his highness was asked to present prizes to the top runners in the various categories. 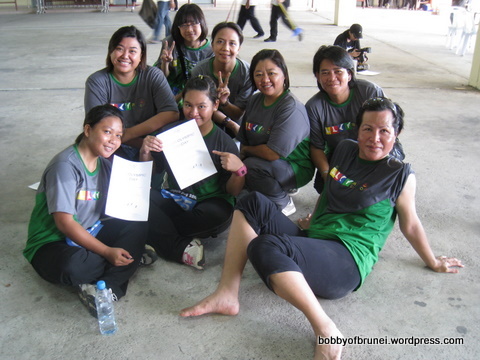 If you were a participant in the event and you want to tag yourself. you can go to my facebook photo album. 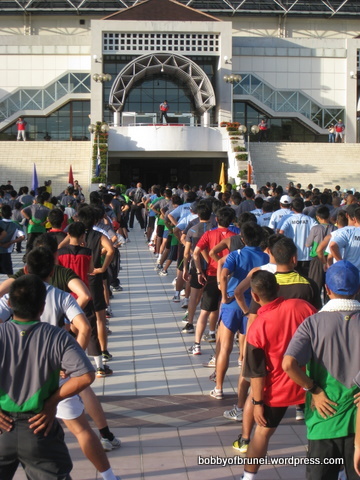 Posted on 2010/06/21, in Community, Event and tagged 2010, Brunei, His Royal Highness, olympic day run, Prince Haji Sufri, stadium berakas. Bookmark the permalink. Leave a comment.